More than 30% in savings! This bundle gives you our award winning Jazzy app collection for one low price. Teach your child through music. 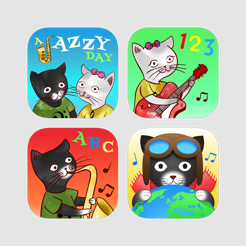 Join our jazzy cats and learn about numbers, letters, countries, culture and languages. 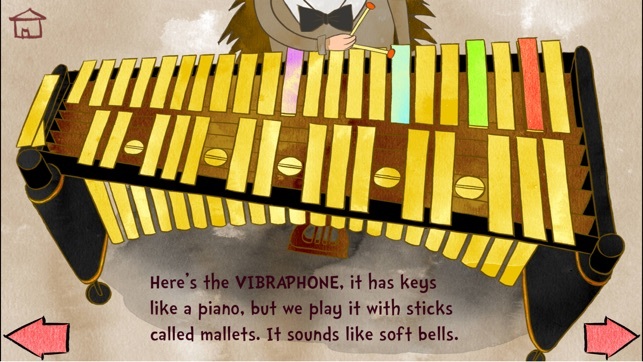 A JAZZY DAY – SWINGING WITH THE BIG BAND is a fun and interactive story that will teach your child about music instruments. 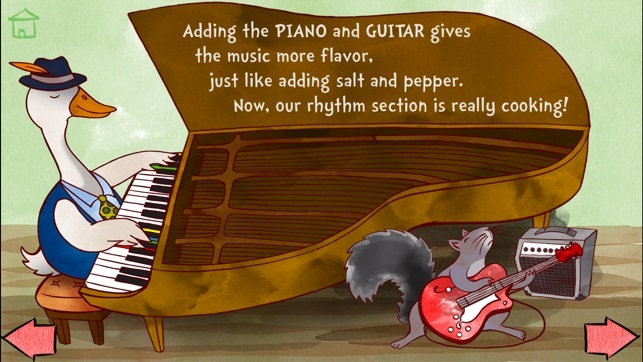 The book features original illustrations and music, as well as sounds from real acoustic instruments. Join the two cute kittens as they visit the Jazz Big Band and meet the animal musicians. Play and put your knowledge to the test. JAZZY WORLD TOUR - MUSICAL JOURNEY FOR KIDS Join our two kittens on a magical journey as they travel the world in a hot air balloon. 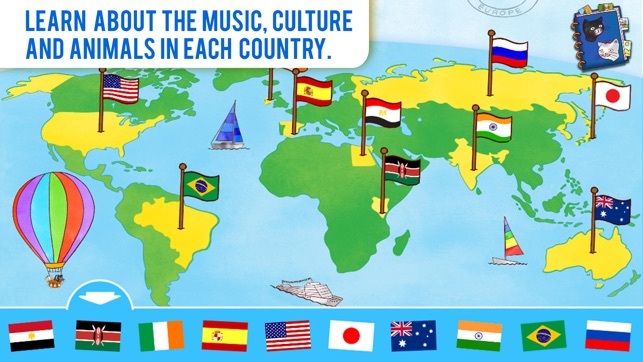 Visit Brazil, Japan, Spain, India, Australia and many more, as we explore each country's unique music and culture. 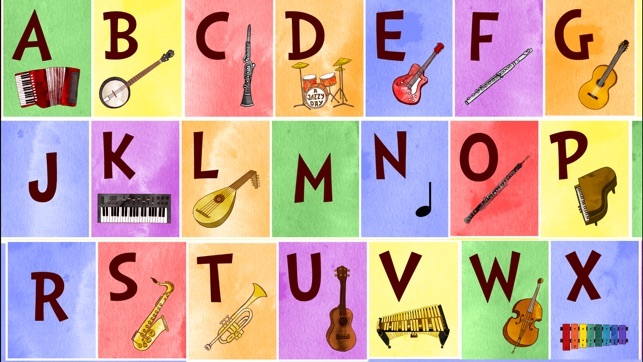 JAZZY ABC - MUSIC EDUCATION FOR KIDS Learn about music instruments and letters in a fun and interactive game. This top app offers children a brand new learning experience, as they explore the alphabet and expand their vocabulary through music. 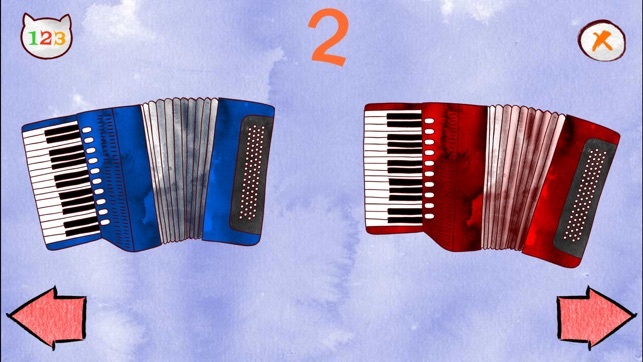 basic numbers and musical instruments. 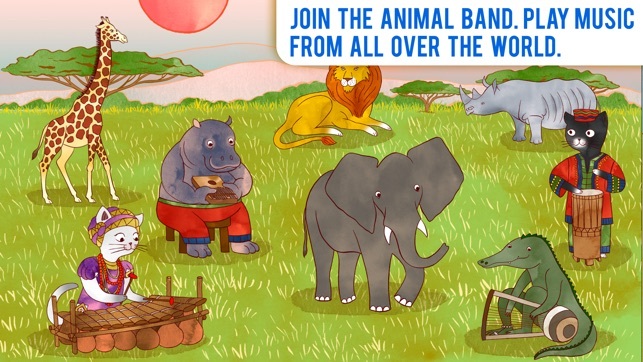 You can test your child's knowledge with our fun game features. 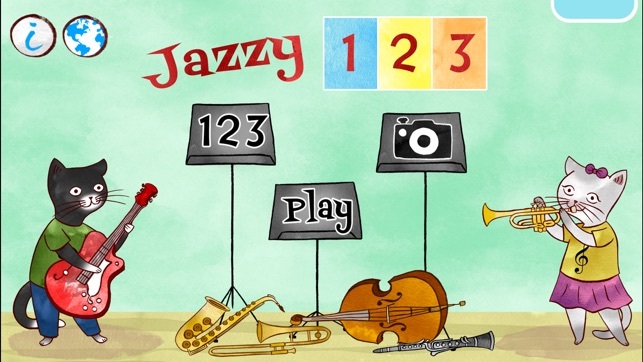 Jazzy 123 will teach your children to count in over ten languages!